I love that the Apprentice Program provided me with everything I needed to plan an event. While event design and themes come naturally to me, I wasn’t familiar with executing the logistics of an event. Among other things, I learned how to create a proposal, construct a timeline, organize multiple vendors and manage a budget. All essential components to a successful event. The greatest skill I gained from the program was to be confident. I learned how important it is to be prepared. The more prepared I was, the faster I could address conflicts, which in turn, made me more confident in myself and my work. Once my apprenticeship ended, I remained with The Simplifiers as an event planner. It was an excellent experience that I thoroughly enjoyed thanks to the support I received from Mary and the knowledge I gained while participating in The Apprentice Program. Are you still in the events industry? Favorite thing you loved about working events with The Simplifiers? Although I’m not technically still in the events industry, I enjoy throwing pretty stellar birthday parties for my daughters Logan & Reese. Working with The Simplifiers really gave me an appreciation for considering the entire event. From decor to food, favors to entertainment… when your kid requests a glitter unicorn party, you better be ready make magic happen. 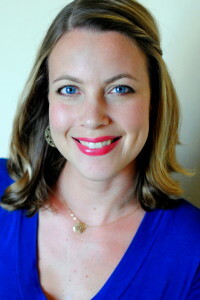 I really enjoy being at stay at home mom, but I also love being a vacation planner specializing in magical vacations! You can find me at Fairy Godmother Travel… where I traded in my superhero cape for a fairy godmother wand. Christine is a master at calm, cool and collected. Clients immediately trusted her with their BIG day and she always knew how to put them at ease. She’s got fantastic customer service skills and was always great at thinking fast on her feet. Plus, little known fact…Christine has the BEST handwriting I’ve ever seen. So, if you need her to whip up a sign on the spot, she was a ninja at that. 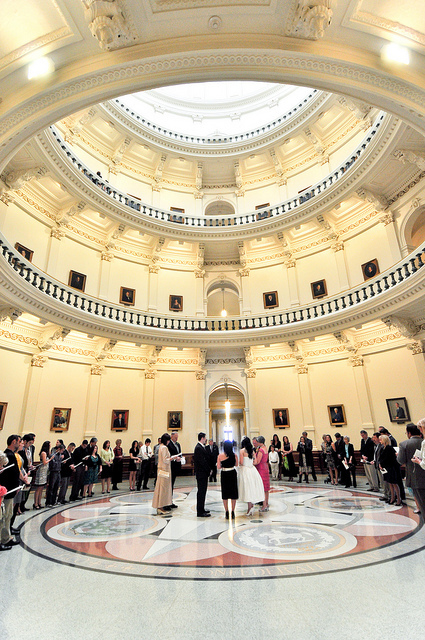 One of her best weddings she produced with our firm was a flash-mob wedding where guests had the ceremony in the rotunda of the Texas Capital! WOW! I’m excited to see where Christine’s career has taken her…but of course, the Mouse spotted her talents and scooped her up! Could your interns benefit from the confidence boost that Christine got? Applying for The Apprentice Program will give your interns not just confidence, but the skills and knowledge that are essential to get on board with the way your firm plans events! You can start it at any time and it’s currently just $75/intern. Apply today for The Apprentice Program. Also, keep your eyes peeled for more posts in the Apprentice Case Study blog series to see what those who have already completed the program REALLY thought!